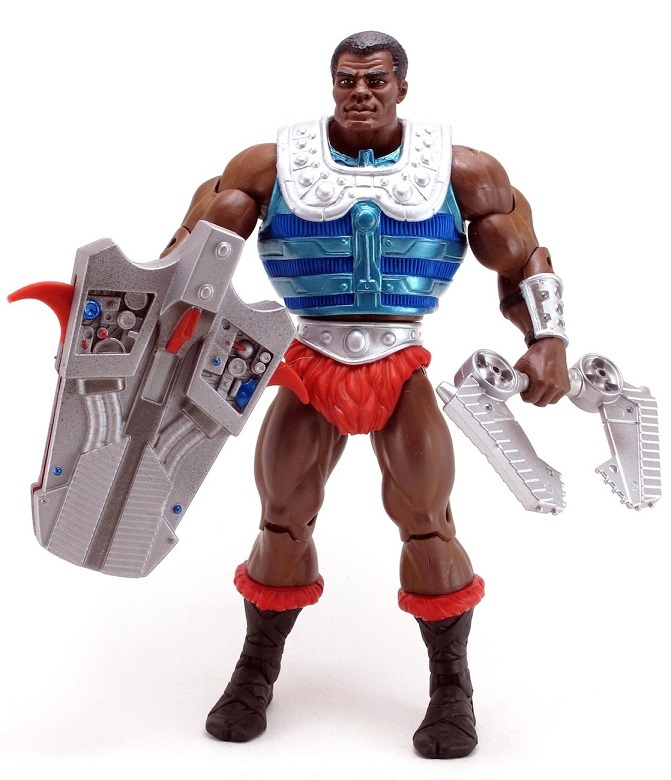 After Duncan was captured and permanently turned into a Snake Man, Raenius, former Body Guard to King Randor, stepped in as the new royal Man-At-Arms. 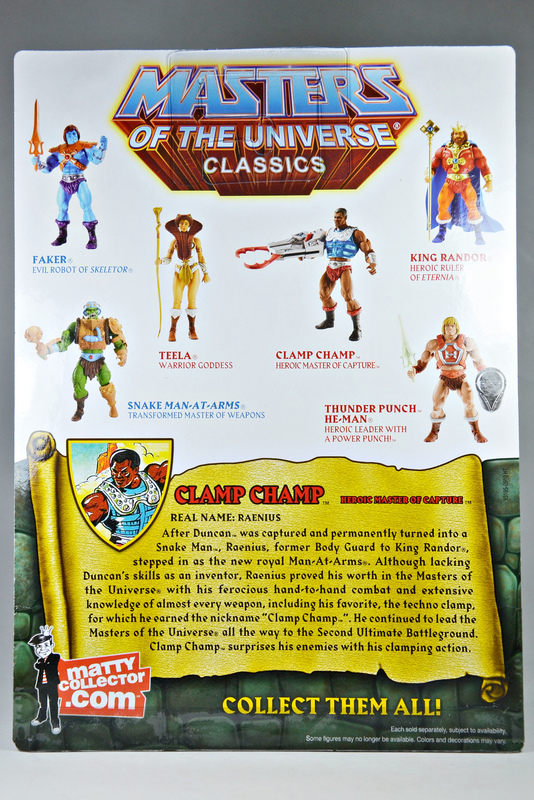 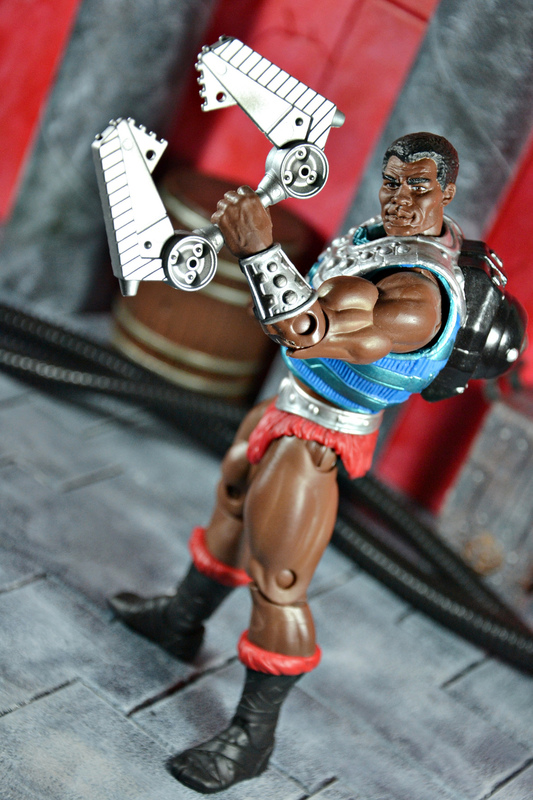 Although lacking Duncan’s skills as an inventor, Raenius proved his worth in the Masters of the Universe with his ferocious hand-to-hand combat and extensive knowledge of almost every weapon, including his favorite, the techno clamp, for which he earned the nickname “Clamp Champ”. 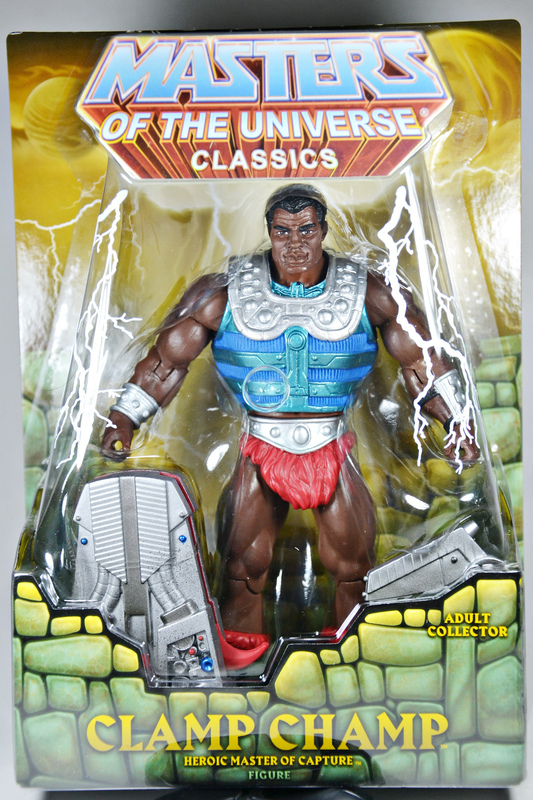 He continued to lead the Masters of the Universe all the way to the Second Ultimate Battleground. 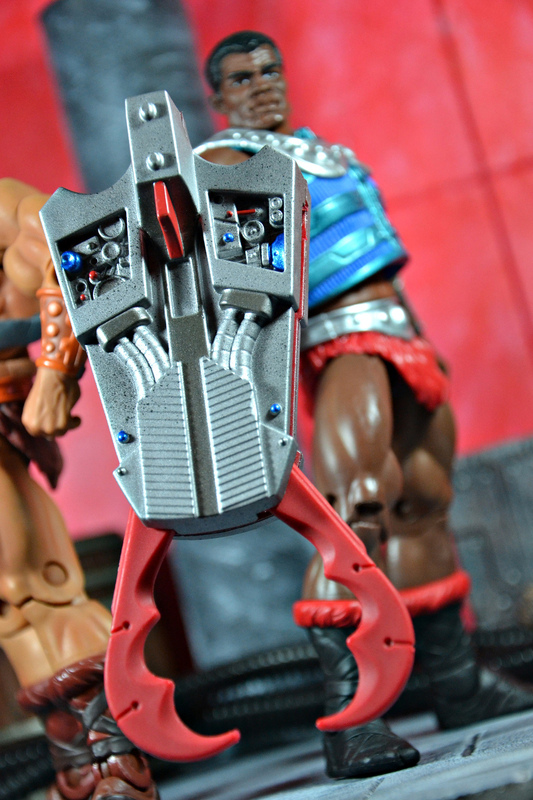 Clamp Champ surprises his enemies with his clamping action.